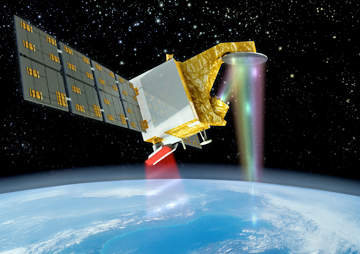 Artistic rendition of France and China's CFOSAT. The infosite Prothom Alo has reported that France and China’s space agencies have unveiled their first jointly-developed satellite in Beijing, China, last Friday — the satellite will be used to improve the forecasting of ocean storms and cyclones. The satellite, named CFOSAT (China-France Oceanography Satellite), is due to be launched next year by China and will primarily be used to study wind and ocean wave patterns. Understanding the interaction between the oceans and the atmosphere will also help to model and tackle climate change, scientists said. The satellite will include two radars: a French system designed to measure direction and wavelength of ocean waves and a Chinese version that will focus on wind strength and direction. This satellite is the first to be jointly constructed by France and China — the project was originally envisaged as a joint program for the French and European space agencies. However, an increasingly close working relationship between France and China on space technology over the past ten years prompted the switch to the unprecedented collaboration on CFOSAT, said Danielle Hauser, a French scientists working on the project, who acknowledged there was also a “political component” to this project. The satellite will be placed into Earth’s orbit during the second half of 2018 by a rocket from China’s “Long March” program. The project is scheduled to last at least three years.